If Some one stole your mobile or you loss your mobile then what will you do? We all are now more or less aware of IMEI No i.e International Mobile Identity No of our mobile handset due to the recent stricter regulations of Govt. Here is an interesting fact to share about the IMEI No. Each mobile carries a unique IMEI which can be used to track your mobile anywhere in the world. This is how it works!!!!!! Note down this no anywhere but except your mobile as this is the number which will help trace your mobile in case of a theft. Your Mobile will be traced via a complex system of GPRS and internet within few hours. This may not be standard and may vary. You will find where your hand set is being operated even in case your no is being changed. TRACK IMEI is here to help you locate your lost mobile. If you have lost your mobile and remember the 14/15 digit IMEI number of your mobile which is a unique number for every mobile then you can register you mobile with us, if any of our dealers across the world will come across that mobile having that IMEI number we will contact you on the details provided by you while registering with us. If you have already registered with us the details then you can search for your mobile by entering the IMEI number in the below search for IMEI number field. MGISmobile.com is a Dynamic IMEI Monitoring system in which you can trust to secure your Mobile Phone. It is compulsory to register your Mobile IMEI Number. 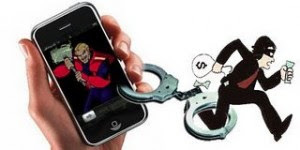 We provide the complete location information of the mobile which may be stolen or lost due to any reason. thank u 4 providing such a great explanation. I will follow ur instruction..
hii i have lost my samsung galaxy r i am not having the imei no with me but i am having the invoice of the phone which is having some details but i am not sure that this is the imei no can u helpp plzz!!! Hi i lost my samsung galaxy note N7000. i lost it in london but after i known one of my friend took it in india. now he using my phone so how can i know where location he using my cell. hello..i ve recently lost my samsung galaxy note.can somebody please track it using its imei no? ?359548048003284 is my imei no. I was wondering whether any one got their lost mobile after reporting to cop@vsnl.net? Is it trustworthy? Please let me know if any one has been able to recover their lost phones from the imei number. Even the cops told me its a loosing battle. so just want to be sure that there might be a hope. how can i trace my loss cell phone plz advise me . Today I lost My Nokia 5800 Handset. plz help me for tracing my phone. My contect no is 8460544680.
sir,15octboer2012 loss my cell phone my imei-354303041618844 my email id akshaytumsare2@gmail.com plz help me for tracung my phon. dear sir/madam i lost my mobile i want to trace my mobile without comp lent my imei no is 354110053943584 my contact no is this please tell me the process. si i am d.shs.dhar.loist my mobile nyumber in hyderabad. my imei number is 355317040238486.
pls pls pls help me sir,..i lost my apple iphone today..and its IMEI no -011813003369967..thanks in advance my no -9908334448..
address-a-16 nirmit resedency near krishna-3 bunglows opp sangat mall-1 mottera,ahemdabad. Could not mail to cop@vsnl.net as DNS error. I have lost my mobile on 10-11-2012 at around 17:00 at Sivasagar, Assam and subsequeently lodged a complain at Sivasagar police station. I have lost al valuabul information and about 700 contacts with the mobile number which I do not have backups.I therefore like to request you to trace my mobile set so that I can get it back. Please find the details about my phone. For this act of your kindness I will be ever gratefull to you. I have lost my SAMSUNG galaxy Y mobile today morning. It's IMEI num is 359462047426670. Could anyone please trace my mobile and inform me at 9948117766. I have very very imp data on that mobile. i lost my mobile in goa date:-18/10/12, time 11.00 pm in baga beach . please give me some information or mobile no. who took my mobile Phone . i bought it second hand mobile in my friend. I have not yet complean (fir). LOST MY PHONE SAMSUNG GALAXY ACE S5830 ON 6TH NOVEMBER,2012. my lg mobile kg 300 imfi no.352834010659809 lost. I have lost my mobile 2 months ago and please help to find it. I lost my mobile today(4.12.2012) at afternoon(11:30 am) at focal point, ludhiana, punjab. I was travelling by share auto, I realized that my mobile is lost on getting down from share auto.I request you to kindly track my mobile.It contains important data. Hoping for your valuable co-operation. sir please help me to find my samsung mobile galaxy y 5360 imei no-351824052226584. my name is chandra shekhar gupta. if got any information please e-mail me angelprachi23@gmail.com . I lost my mobile in Jammu- Rajdhani express (AC-3 TIER) at platform No 15 on 19 Nov 2012 . please help to find /get my mobile. I lost my Nokia mobile phone worth Rs.12,000 this morning. Can u please take necessary measures to find it. I ve enclosed necessary information. Address:T.Damayanthi D/O hanumaiah ithavaram (po),nandigama (md),krishna (dt),521185.andhra pradesh . 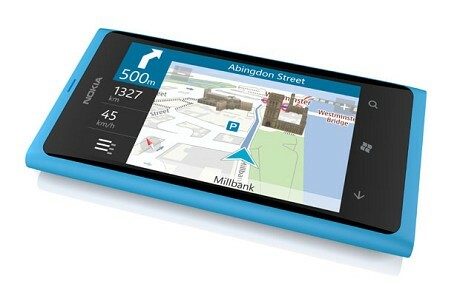 I lost my nokia 101 18/12/2012 at 8.45pm . plz help me to find it and contact me on my email id . Please help me for finfing out my mobile. Guys , does it work ? I am yet to read one reaching its logical conclusion. I have lost my SAMSUNG S DUOS mobile while traveling in Mumbai local Train ,My sincere request to you kindly help me out to trace my lost Mobile . Got an interesting fact to share.. Nowadays each one of us carries Hi Fi Mobile devices and always fears that it may be stolen. Each mobile carries a unique IMEI i.e. International Mobile Identity No which can be used to track your mobile anywhere in the world. 7. You will find where your hand set is being operated even in case your no is being changed. PASS ON THIS VERY IMP MESSAGE TO ALL YOUR FRIENDS AND RELATIVES. Keep all these information stored for emergency use . 30th dec 2012 i lost my galaxy mobile.after purchasing this mobile i was not used it for more than 10 days.anybody can please help me to get back my mobile. hello ser pls. help me last night I lost my new cherry mobile flare I want to block my phone my contact # is 09156878746 and my phone emei1: is 866242018223959 pls. help ser my email is andrilodiaz@Gmail.com sana matulungan nyo ako salamat po god bless! I lost my mobile phone today at 11.30am in my Office only( Bangalore). At 11.23 I got call from one of my friend (9542148103), this was the last call I got. I called at 12pm it said phone not reachable. And from 1pm it shows switched off. hi i lost my Samsung Galaxy pop GTS5570 from my office and i launched FIR at Dapodi PoliceStation in Pune. They are told that mobile is still not use by anyother so we cant trace now. it is only possible whenever someone using mobeile is it correct? otherwise what is the procedure for trace my mobile? I have my IMEI No also. I lost my samsung galaxy y dous ,I launched FIR at gorabajer pulice station in dumdum.my IMIE no. I can not trace this IMIE no.by using internet.However it is possible to collect this phone pls help me.otherwise what is procedure for trace my phone? Please help if this can be traced. can you please help me find it. I have lost my Sony xperia Arc S mobile on 17th Jan 2013 from Andheri, Mumbai (Mah). I had blocked my mob no (vodafone) 99330268275 on same day and on next day i had received new sim. No one will do anything.. its all fake..
i dont have my imei.. I lost my samsung Galaxy Ace-s5830 today(06/02/20130 morning 11am near roopay nagar to eastend and the IMEI no. is 359160045236345 please help me to track my mobile. I Lost my Nokia N97 mobile on (10/feb/2013) 6:pm near ISBT and the imei no is 358226032633710 please help me to track my mobile. I have lost my Nokia 5530 xpressmusic phone (white) on 8th feb 2013 in kamothe, Navi mumbai at around 10-11 am. Please add this IMEI number in the blacklist shared with you and other networks. Please help me in getting my phone back. my mobile has been lost huawei c 2806 tata. my imei no is A00000/Ao/ce53 battery no gag94235f1575346. my mob no is 9255187326 plz cheq my cell phone may be requested yo plz cheq my mobile phone. pta lagne pr sampark kre my altrnet no is 9992807441, 8053987129 thanking you. I have lost my Samsung Galaxy SII IMEI No. 358848/04/925040/0 on 19th feb. with my Idea Sim ph. no. 9837025643 at Tri Nagar Area of Delhi. I lost my Samsung Mobile Corby2.Model-GT-S3850.IMEI NO35888 704 1508514 Please help me.My contact Number+8801714958436 & my email:sajeeb004@gmail.com. Please Trace My Mobile & Message me. I stolen my mobile in my home. sir, i request you to please block my imei no. because i dont't know who has stolen my moble. sir, plz.... plz... block my imei no. PLZ HELP ME TO FIND IT. i have lost my mobile phone (Ph. no-7277335327) today when we were visiting kurji hospital patna, which is being used by my wife Mrs. Swati verma. all important statement (bank,loane...etc) were active on my phone. we are triying to reach but it is switched off and not reachable. .
Kindly help us to locate my phone or block it as per details given below. I had lost my mobile sony xperia neo lMT25i its unique IMEI:352890055415259 and its phone no:8686351308 ,please track this and send its information. your blog very helpful for me.keept up. Here we leave a comment for What To Do When Your Bored.We at free online tricks, What To Do When Your Bored, What can you possibly do if there is nothing else constructive? So many of us often feel bored, don’t know what to do and our mood changes.Here some online tricks on what to do when your bored. I request to you sir please trace my mobile and tell us current using no. I lost my mobile, actually it was snatched today on the way while i was going home. Address: 119- GF/1, SECTOR -6, VAISHALI, GHAZIABAD. Phone Model: Samsung I9000 Galaxy S.
Missing Date: 20-03-13, 08:40 PM. You people should stop being so liberal in giving out your IMEI numbers and contact details to whoever runs this 'service' offered on this site. Of all the details people have posted, not ONE person has received any help as of yet. sir i have lost my samsung galaxy S3 mini in Banglore sir but i am in Tamilnadu please find my mobile sir. If found, you can contact me on the above mentioned no. only. hi my name is krishna mishra. yesterday that is 8 th april 2013, i have lost my Samsung mobile phone in ahmedabad. My Model no. is S360, my IMEI no is 359462048233182.
plz help me out. You can contact me krishnamtrivedi123@gmail.com and krishna@micamail.in. hai frd, I am already sent the information to your mail but no replay from you please find it as soon as possible thank you. Address: 3/66 KATAGANJ, NADIA, PIN-741250, KALYANI, WEST BENGAL. i lost my mobile .I MEI number is 352801051267412 and model is Q mobile A2 . i lost my mobile.Could u please trace and let me know.. I lost my SONY Xperia Ion last week Can you please trace and let me know.. If yes please reply. plz help me sir..my name is Deepak. address: h.no. 1232/30 gujar dharti near chandra tent house nagra ajmer. rajasthan 305001. PHONE MODEL: XPERIA RAY "ST18i BLACK"
please do the needful if you can help me out. I recently lost my samsung galaxy s3 with IMEI # 353101050419554. please track it for me. hi sir i lost my mobail galaxy with IMEI no 359160041574350 plz help me and search my phone by imei no if it,s possible then i can give you commission plz help me.